Always dress in layers with this vest from Outback Trading Co. 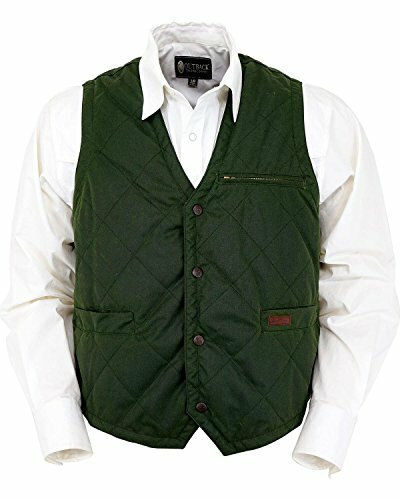 This vest is made with a polyester blend, has snaps, welted hip pockets, a zip chest pocket, a quilted pattern, and is water- and wind-resistant. This vest is the perfect second layer for any season and will keep you warm and protected from the elements. Enjoy the outdoors as they were meant to be enjoyed in this vest from Outback Trading Co. If you have any questions about this product by Outback Trading, contact us by completing and submitting the form below. If you are looking for a specif part number, please include it with your message.